The Bodrum Castle sits on a promontory guarding the entrance to Bodrum Harbor. The building of the castle was started by the Knights Hospitaller in 1402 and was officially known as the Castle of St. Peter. The castle was built to support the stronghold of the Knight Hospitaller in nearby Rhodes. For over a century, the Castle of St. Peter remained the second most important castle of the Order and served as a refuge for Christians in all of Asia Minor. The castle was built on the site of the Palace of Mausolos and much of the stones in the palace and the nearby Mausoleum of Mausolos, once named one of the seven wonders of the ancient world, were used in the construction of the castle. 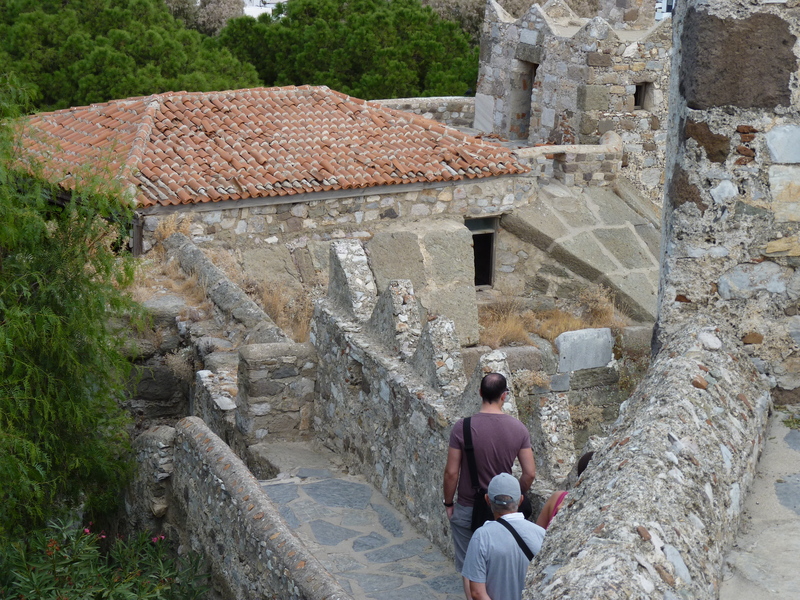 In the walls surrounding the Castle were 7 towers each dedicated to a different sector of the Knights Hospitaller. Inside the English Tower today are artifacts from the time period, including names of Knights that were carved into the stone walls. The chapel, which was the first building inside the Castle to be completed, is still standing, albeit turned into a mosque on the surrender of the Castle to the Ottoman Empire. 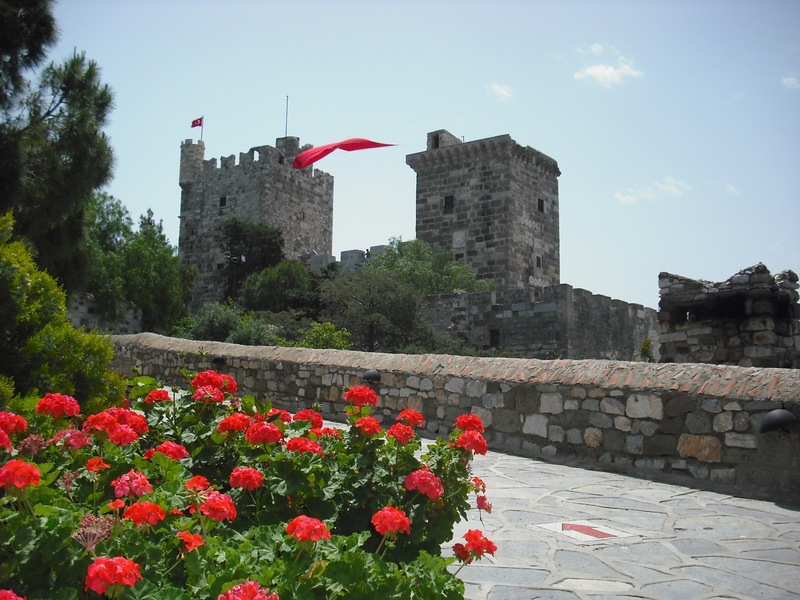 This surrender happened as part of the conquest of Rhodes in 1522 by the Ottoman Empire.The Castle has been used over the centuries since variously as a military base and a prison. In 1962, the Turkish Government decided to turn the Castle into a museum and in the interior house the Bodrum Museum of Underwater Archaeology. This museum today is the largest of its kind and houses a vast collection of artifacts excavated from nearby ship wrecks from the ancient trading route along the coast of Turkey. Inside the Castle in various exhibition halls, created out of buildings and towers within the Castle, are artifacts including coins, jewelry, glass objects, everyday items, and items of trade, such as copper ingots. A large collection of amphora’s displayed in date order and identified by culture, shows the evolution of the use of amphora’s as shipping containers up to the switch to barrels. Also, inside are two reconstructed ship wrecks. It is a great treat to sail along the ancient trading route along the coast of Turkey and be able to stop in Bodrum, and see the artifacts excavated from shipwrecks from those same waters. 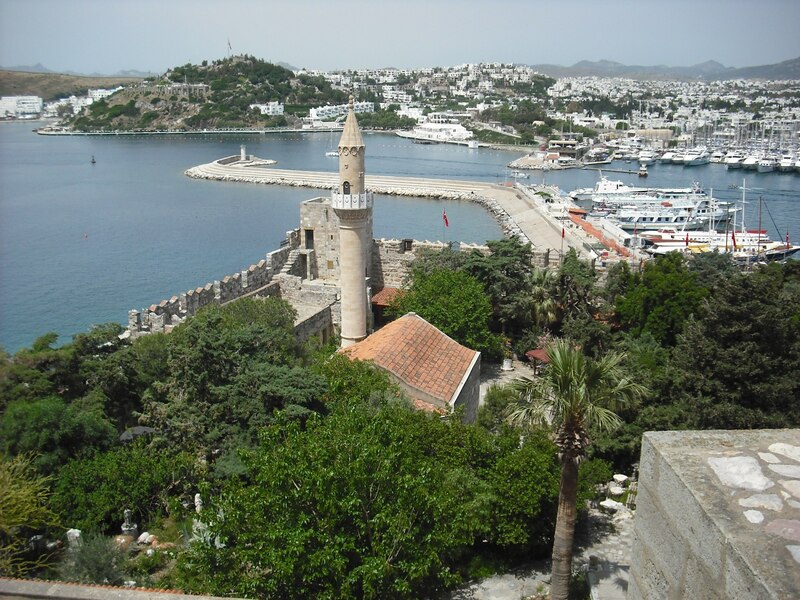 We highly recommend adding Bodrum to any yacht charter itinerary in this area.